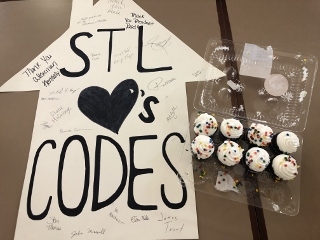 In August of 2018 the City of St. Louis became the first municipality in the region to adopt the International Code Council’s suite of 2018 building codes. In this in-depth seminar, we’ll review the key changes to the 2018 International Building Code (IBC), International Existing Building Code (IEBC), International Energy Conservation Code (IECC) and International Residential Code (IRC), with an emphasis on energy efficiency. Prior versions of the city codes heavily amended the insulation requirements in the Energy Conservation Code. The adopted 2018 codes uphold the original code language for commercial insulation requirements and include just two major amendments to the residential insulation requirements. In addition to more stringent insulation requirements, the new codes introduce significant changes to air-sealing requirements and require mandatory air-leakage testing. We’ll review some of the new air-sealing requirements, and learn the importance of air-sealing for energy-efficiency, comfort and healthy indoor air-quality. Finally, we’ll review special considerations for implementing the 2018 codes in existing buildings and share technical resources for upgrade solutions that are appropriate for historic renovations. 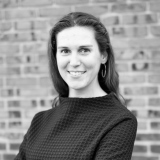 Gretchen Waddell Barwick is the Assistant Chapter Director of the Missouri Sierra Club. Gretchen has lived in St. Louis for 20 years and has lived in Missouri nearly her entire life. She has a Masters degree in Social Work from Washington University and has worked as a professional in social justice and advocacy for 9 years. 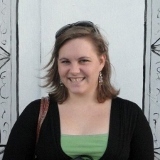 Gretchen loves to read, knit, cross stitch, hike, and spend time with family in her free time. She is a mediocre but enthusiastic gardener and mother to an adventurous 1 year old. Missouri Botanical Garden’s Commerce Bank Center for Science Education, 4651 Shaw Blvd., St. Louis, MO 63110.